According to the Affordable Care Act of 2010, requiring the purchase of a product is illegal, but mandating a tax for not purchasing that product is legal. At this point, as a business owner, insurance broker, or HR professional, you have weathered the first season of regulations that have come, but are you prepared for the next season of changes? At MBA we want to make sure that you are ahead of the forthcoming benchmarks and understand that another tax mandate is coming right around the corner. Cadillac automobiles have long been the luxury standard in their industry. 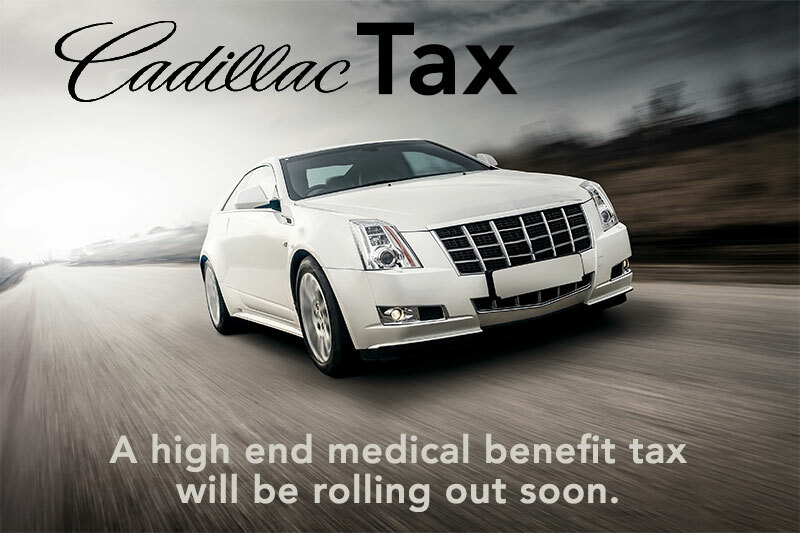 In the medical benefits industry the term Cadillac plan describes a high-end, expensive medical benefits provided by employers. Medical insurance, and other perks have been considered part of the employee’s overall compensation package, but it is a payout that is not taxed. Employers can offer additional insurance and incentives to their team, without paying taxes on that expenditure. All of that is about to change and we don’t want you to be caught off guard. In 2018 the Affordable Care Act will begin placing a 40% tax on the cost amount above and beyond $10,200 for an individual’s coverage and $27,500 for a family coverage. This cost does not include stand alone dental and vision plans, but it does include the cost for; insured and self funded group medical plans, wellness programs, flexible spending accounts, health savings accounts, health reimbursement accounts, archer medical savings accounts (all pre-tax contributions), on-site medical clinics, executive physical programs, pre-tax coverage for a specific illness (laser insurance), hospital indemnity, federal/state/local government-sponsored plans for employees, retiree coverage and multi-empower plans. What’s included in Cadillac plans that most others don’t have? The bottom line is that the higher costs to having a Cadillac plan is often determined by two factors; the industry being covered, such as employees in high-risk positions; and the rising and exorbitant cost of receiving medical care in our country. In many cases the insured aren’t necessarily receiving more benefits or superior service with that high price sticker of the Cadillac plan, they are just absorbing the cost of being their industry, as well as the huge markups by network hospitals and providers. How can I use this information to maintain benefits for my employees and avoid the tax? As a third party administrator (TPA) MBA has created an innovative system that not only supports members in medical distress with medical management, (which by the way, is the number one cause for long standing expensive premiums for a company, no matter what happens to that particular employee), but that also keeps in check the runaway price gouging that is so often witnessed with large groups and hospitals. There are three simple steps that MBA has used in their new medical benefits plan called, The Open SolutionTM that have proven over and over again that maintain quality benefits and save groups hundreds of thousands, and often times millions of dollars. First, eliminate the PPO networks. This opens up opportunities across state lines, and within a community to choose the right healthcare provider for the situation, rather than the mandated one that is in network. Second, help members with chronic conditions take control of their recovery from disease or injuries with medical management. Third, provide top of the line audit and repricing of medical claims, to ensure the provider receives a reasonable profit, but doesn’t price gouge the consumer. This important component includes legal protection and court precedence in favor of this innovative model. If you have questions about your medical benefits and the impact of the looming Cadillac tax in the years to come, or want to know more about the “other factors” that can impact your bottom line, please reach out to our team online, or call us at 1-800-877-3727.